Red River College’s Applied Business Research Initiative aspires to apply global knowledge, international business concepts and ideas to local and regional businesses, communities and public organizations. Social Innovation (SI) project is a collaborative applied research effort that involves RRC students, innovation leaders, businesses, and community organizations in Manitoba and abroad. 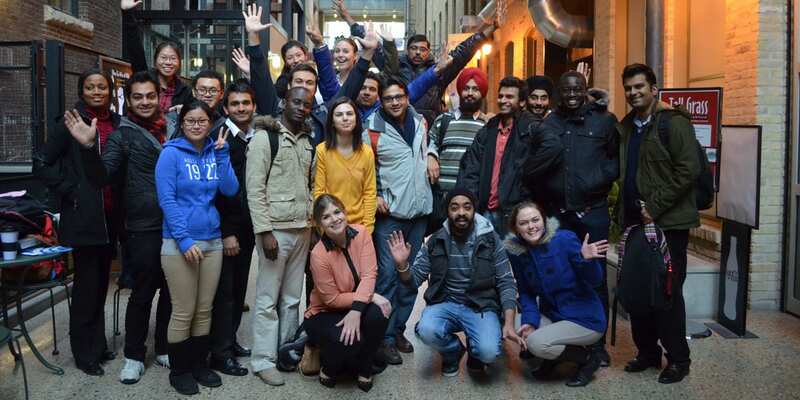 Through partnership with National Leasing, Winnipeg based innovation leader, close to two hundred business students from over twenty countries research and analyze leading social innovation practices in the global and local communities. Phase one of the project involves students exploring the SI in different countries and highlighting business practices that they see as beneficial to the selected societies. In phase two, students research and analyze SI in the local community. Grouped in multidisciplinary, multicultural teams, students are given a task to identify socially innovative entrepreneurs in Manitoba. Future business leaders are than asked meet with the local innovators, conduct interviews, research and analyze the success factors, business models, and best practices in addressing social challenges. Through this experiential learning process, RRC students interact with global and local businesses while learning about the innovative approaches to delivering triple bottom line results.